My first experience with e bikes was an Ideal Orama 320ED equiped with Shimano Steps E6000 which I bought early this summer. Don't get me wrong, it's a very nice bike with Auto shifting, you just have to ride it and it does the rest by itself. It has a legal 250W motor which cuts its power at the speed of 25Km/h. So I wanted something more powerful and faster. I made a lot of research online and I decided to convert my old trekking bike a Scott Sportster p3 2008 into an e bike. I placed my order to fasterbikes.eu and 14 days latter I received my package. Last edited by Stavros; 11-17-2018, 10:40 PM. It started well, I removed the crank screws (easy) and then I had to use the crank puller to pull out the cranks (it should have been easy too). But the bottom bracket was not a standard one and the crank puller could not do its job. So I had to seek help from a nearby bike shop. They also didn't have a special puller for my bottom bracket, so eventually they had to cut the cranks from the bottom bracket. Last edited by Stavros; 11-09-2018, 01:04 AM. After the first obstacle everything else worked out smoothly. After removing the bottom bracket, the front derailleur the corresponding shifter and the old chain, I cleaned the bottom bracket shell, I fitted the motor into the shell and it was almost a perfect fit. I just had to add a 2mm spacer for the bottom bracket and one small stainless steel washer between the motor and the Y shaped fixed holder. Then using the special tools I bought, I tightened the steel and the aluminum ring nuts. Since I had already found a lot of reports about the fixed holder slipping down with time ( I thing this is a construction weakness of the system), I decided to take measures before having to deal with the problem and stabilize BBSHD from the beginning of the build . In a boat shop I found a stainless steel Jaw/Jaw Tubular Turnbuckle T Toggle used in sailing and using washers I managed to fit it between the upper hole of the motor and the lower water bottle hole at the seat tube. Check the clearance with the Battery in the third picture. Last edited by Stavros; 11-19-2018, 10:40 PM. For the battery holder I used both water bottle holes at the down tube and drilled two more holes where i put 5mm rivet nuts. 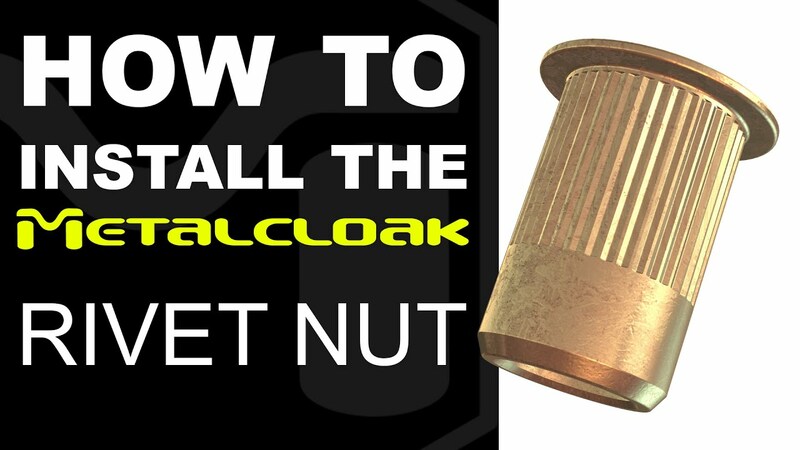 Here is a video showing how to install rivet nuts without any special tools. Four screws for the battery holder I think are enough. I decided not to use any connectors between the motor and the battery holder, so I soldered the 12 gauge motor wires directly to the Battery holder. If I want to disconnect the battery I just have to remove it from the holder. Last edited by Stavros; 11-09-2018, 01:06 AM. For a Chain Ring I chose the Lekkie Bling Ring HD 42T. The cranks are the Original Bafang cranks. My cassette is a Shimano 9 speed with Shimano Deore M592 rear derailleur. I also put a new 9 speed Shimano chain. Last edited by Stavros; 11-09-2018, 01:07 AM. I placed a new rear shifter wire and the Intelligent shifting sensor just after the swifter at the handle bar to protect it from dirt. The E-brake sensor for hydraulic brakes was placed at the rear brake lever (because I always use both brakes) using epoxy glue. Both sensors do their job very well! Last edited by Stavros; 11-09-2018, 01:08 AM. The last three pics describe the placement of the DCP-18 display, the display controller and the Left Thumb Throttle at the handle bar and also the final cable management. Last edited by Stavros; 11-09-2018, 01:09 AM. My first impressions are excellent! Everything works fine, the Bafang BBSHD motor is exceptionally silent and very powerful. The 17Ah 52V 14S 5P Jumbo Shark Lion 910Wh battery lasted for about 60Km with pedaling, after the first 100% charge. Last edited by Stavros; 11-09-2018, 01:10 AM. My Bafang BBSHD motor came with an extra 6V 500mA wire coming out from the controller for E-bike Lights. The lights are operated from the display controller or automatically using the light sensor of the DCP-18 display. I tested the wire using a multimeter and it delivers 6.24V, so I purchased an AXA Blueline 50 E-bike Headlight and an AXA Blueline Steady 80mm taillight to complete my project. Last edited by Stavros; 11-19-2018, 10:42 PM. Hi Stavros. Can you snap a photo of the extra 500mA wire coming out of the controller for the lights. I don't think I have this on my system. Thanks a bunch. When I ordered my system I had the option to order a system with or without this extra cable: https://fasterbikes.eu/en/bafang-bbs...afang-bbs.html. If you can't see it you probably don't have it. The controller has an optional daughter board, a current regulator for that purpose. Last edited by Stavros; 11-12-2018, 08:25 PM. After a 20km trip yesterday night, I can say that the lights I put on my bike are working just fine! Last edited by Stavros; 11-09-2018, 01:12 AM. Last week after about 300Km on my Odometer and a flawless ride the night before, I tried to turn on the bike and Error code 30 appeared on the screen (communication fault). I checked every wire and I didn't find any fault. The screen was operating fine, there was correct voltage reading but the battery icon looked empty and nothing else worked. I picked up the phone and called Fasterbikes.eu and they responded immediately. Talked with Patrick who told me to take out the controller and try to disconnect and reconnect the white multiple connector several times but it didn't worked. Talked again with Patrick who thought that must be a controller failure, and he sent me immediately a new replacement controller free of charge. Yesterday, 6 days later, I received the new controller and installed it to the bike. Everything works like a charm, my bike is up and running again!!! Many thanks to Fasterbikes.eu for great five star SERVICE and SUPPORT! Last edited by Stavros; 11-09-2018, 01:14 AM. Latest additions to my build a Cane Creek Thudbuster LT Seatpost 31.6x400mm, a SoundBlaster Free Sound System and an AXA Defender Lock. Last edited by Stavros; 11-09-2018, 01:15 AM. Since I read some reports that when you take the battery out there is still high voltage at the remaining battery connectors which are male, I measured it with my multi-meter and found it about 50V!!!. It is probably from charged capacitors on the controller but I think there is great danger for short circuit, so on my new controller I decided not to solder it directly to the battery base but to use XT90 anti-spark connectors in order to be able to disconnect the controller when I take the battery out. Last edited by Stavros; 11-18-2018, 07:05 PM. I reached 100Km range with 24% of energy (4100mah) remaining in the battery (Smart BMS Android App) with my setup, always using PAS and having a very enjoyable ride with average speed of 25Km/h mostly on flat surface.